For the fasting month, Hotel Royal Penang team of Chef’s has prepared a royal gourmet extravaganza of local favourites like Nasi Briyani, Udang masak lemak nenas, Kari Ikan Sembilang, Ekor Lembu Masak Merah, Ketam Goreng Bercili, Kari Kepala Ikan, Sotong Sumbat, Salmon Percik and a host of mouth watering appetizer and desserts. Heading the team will be Chef Johari who has 21 years of experience under his belt. 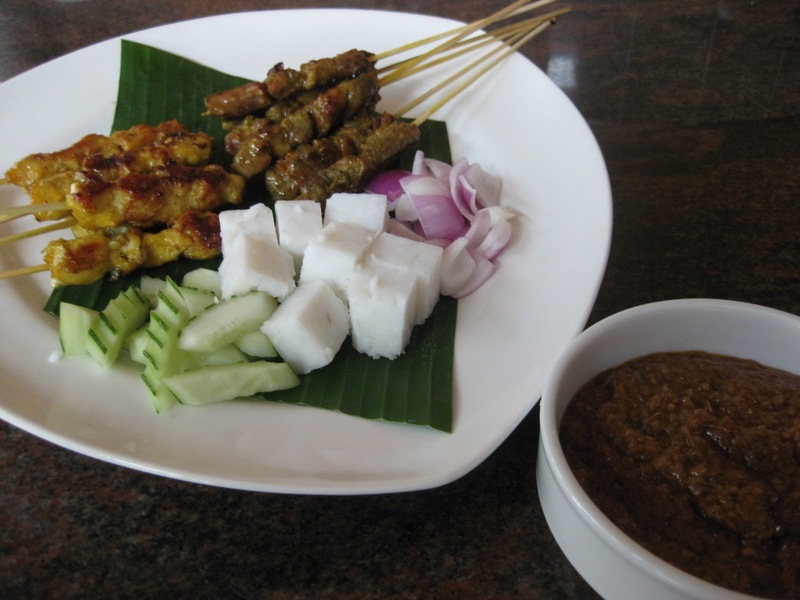 Chef Johari’s main forte is the preparation of local delicacies such as Dhalca Tulang, Bubur Lambuk and many more authentic local flavoured dishes. The Hotel also has a complement of the Sri Pinang Ballroom capable of hosting a medium-sized Berbuka Puasa event for 10 to 20 tables. Or if you are looking for a smaller sized group, have your event at our Cornwallis room which can accommodate 10 tables or the Esplanade room which can cater to a maximum of 4 tables. 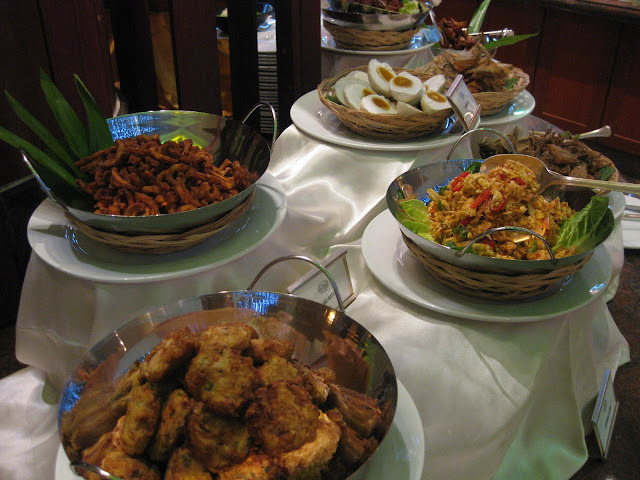 Hotel Royal Penang Ramadan Buffet Dinner is from Monday to Sunday, 7.00pm until 9.30pm. The dinner is priced at RM 68.00++ per adult and RM 55.00++ for children and golden citizens. So why not join them this Ramadan and feast like a King! They promise that the food will leave you wanting for more …. Hotel Royal Penang is a 4-star hotel, strategically located in the historical enclave of Georgetown and within minutes away from the financial district and other prominent locations. The Hotel is also encased with a diversity of contemporary and culture attractions allowing guests to explore Penang’s rich historic sights which make Penang a UNESCO World Heritage site. The Hotel, offers a collection of 276 luxurious guestrooms ranging from superior to deluxe rooms, Corporate Suite, Executive Suite, Apartment Suite and Presidential Suite commanding panoramic views of the city and overlooking the North Channels. The rooms are matched with well-appointed furnishings which reflect a subtle elegance with a timeless charm and comfort to corporate, business and leisure travelers, alike. 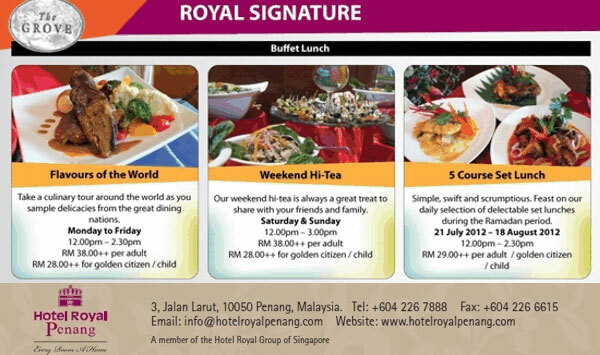 For information Hotel Royal Penang also wanna share with you some of the special promo they collaborate with banks and by themselves.